The following is the text of Prime Minister Mitchell’s Statement to the Nation on Disaster Relief Efforts for Neighbouring Islands, issued on 25 September 2017. Hundreds of thousands of our brothers and sisters across the Caribbean woke up this morning, like they have done the past few days, to a new reality. The roofs, food, water and livelihood that were comforts only a few days or weeks ago, are no more. Home structures have crumbled, landscapes have changed, infrastructure has been battered and life has forever changed. This unfortunate reality, caused by hurricanes, is now the new reality that the Caribbean region has to face. Natural disasters have become a consequence of the changing climate that the earth is seeing and regrettably, those of us who contribute the least to the adverse effects of climate change are the ones facing the consequences. Grenada knows that only too well. We were in the same position 13 years ago, and while we have been spared so far, we can never take our mitigation and preparation efforts for granted because we know what it felt like to crumble under the weight of a hurricane. It is that knowledge that must drive us today to reach out to our brothers and sisters across the region. After Hurricane Ivan in 2004, they all, without exception, came to our aid. Children in neighbouring countries contributed their lunch money to send to Grenada to assist in our relief efforts. Hundreds of skilled and unskilled workers and volunteers alike, left the safety and comfort of their home countries and came to Grenada to lend a hand in cleaning, rebuilding and providing security services. They did not have to; they came because they wanted to. They understood that the Caribbean project is bigger than political and geographic divides. The Caribbean project is a historic and cultural project. We are, and forever have been, ONE CARIBBEAN. So, today, when I see, or we hear of, the catastrophe that were once beautiful landscapes and lush vegetation of Dominica, pristine beaches in the BVI and the Bahamas, or the scenic national parks of Turks and Caicos, the colonial structures of Cuba, and the swaying palms of Barbuda — my heart bleeds. The economies of those Islands, like Grenada, were already fragile and now these economies have been virtually wiped out overnight. Ironically, the international community had already established that Islands like Turks and Caicos, Antigua and Barbuda and Anguilla were middle income and therefore do not qualify for concessionary financing. 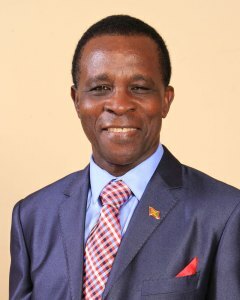 For years, we, the leaders of CARICOM, have been imploring the international community to revise the criteria for concessionary financing to include a country’s vulnerability level because, as we have seen, and as Grenada experienced during Hurricane Ivan, in less than 24 hours, our Islands can be flattened. So, while 2 weeks ago, many of the Islands were considered to be performing well economically, in 1 day — a few hours in some cases — everything they worked for was destroyed, and the said economy is now back to square 1. As regional leaders, we will continue to advocate for and implement sound policies to do our part to reverse the effects of climate change. We continue to call on some in the international community to take this seriously and act decisively and swiftly because our survival in the region depends on this. In the meantime, we must rally around our brothers and sisters in the Caribbean. I have been told by some of my peers that it must be fate that has Grenada currently holding the chairmanships of CARICOM, the World Bank’s Small States Forum, and the Caribbean Development Bank at this time. Grenada, and this Prime Minister, your humble servant, already suffered the havoc of hurricanes, so we are experienced and we understand what building back takes. In the last 2 weeks, as chairman of CARICOM, and as a colleague Prime Minister, I have made myself available and asked my Cabinet to make available whatever resources we can to help our brothers and sisters in CARICOM. Grenada has led from the front. With the CARICOM Secretary General, I have visited almost every island affected by Hurricanes Irma and Maria and extended solidarity and support to my colleagues. Tomorrow, on your behalf, I visit Dominica, along with the President of the Caribbean Development Bank, Dr Warren Smith, and a team from the Regional Security System and the Caribbean Disaster Emergency Management Agency. Grenada needed everyone’s support back in 2004. Our northern neighbours need Grenada’s support now. Government, even while we too have our own challenges here at home; even while we know that many are still unemployed, and that many homes need to be upgraded to withstand the terror of any type of disaster; and even while we still have to fend for our sick, poor, elderly and vulnerable, and ensure that we meet the educational needs of our students, and provide added benefits for our workers, including restoring pensions and regularisation of temporary workers — we know that even with all those challenges, sisters and brothers, our experiences must still allow us to make the sacrifice to help bring some semblance of normalcy to the lives of our northern brothers and sisters. On the domestic level, no one sector’s need can be put ahead of the other because it all comes from 1 pot — Government’s pot. We therefore urge all our citizens to look beyond yourselves for a while and work with us and each other in this venture to help our neighbours in the Caribbean. While we have a responsibility to address domestic needs, we must never forget that the cause of the Caribbean is greater than our individual circumstance. We all sneeze when 1 island catches the cold. Government is doing its part through our National Disaster Management Agency, under the responsibility of Senator Winston Garraway, and the advice and leadership of the Government. NaDMA has been working around the clock to activate all protocol mechanisms and resource — monetary and otherwise — to help our neighbours. Already, government has pledged $1.4 million in monetary assistance to be divided among the affected islands. The details of this and government’s ongoing efforts in this regard will continue to be publicly outlined in the days ahead. Sisters and brothers, I am calling on you tonight, to reach into your hearts and reach out your hands to our brothers and sisters in Dominica and the rest of the affected region. My friends, if there is ever a time that the entire region must showcase the worth of Caribbean solidarity, it is now. When Grenada was hurting, they were there. When Barbuda hurts; when BVI hurts; when Cuba hurts; when Dominica hurts — we all hurt. But working together and sacrificing together, we can make their pain a little bit more bearable. This is time for national action for a regional cause.